Carry your loved ones with you! 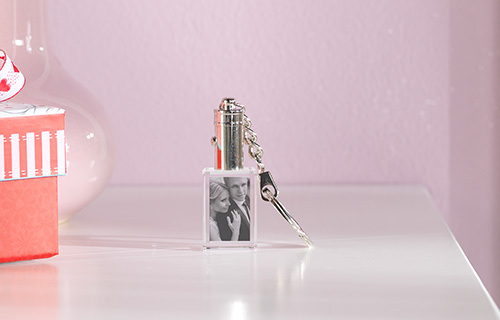 With this chic crystal key ring, you can always carry your loved ones with you. A special laser process etches your image to the interior of the glass block. An LED light brings the photo an elegant shine. The tag with metal key ring is supplied with a battery in an attractive gift box.